C-Line Removable Adhesive Plastic Label Holders stick to almost any clean, flat surface. They have an easy to use open-edge, top loading design and are removable and repositionable. They provide the best value for easy labeling of shelves, drawers, files, bins and more. Included are easy-to-change inserts that can be cut with scissors to required length. 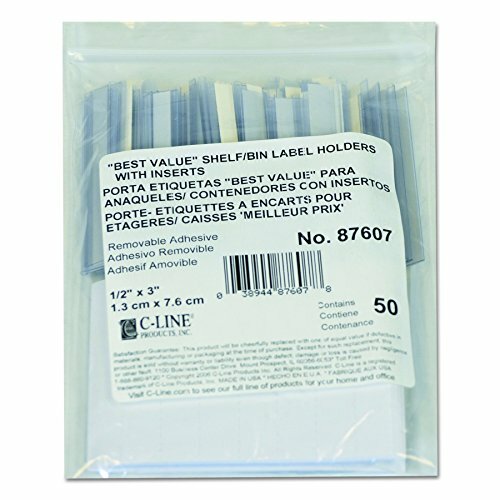 Label holders measure 1/2 x 3-Inches and come in 50 per pack.